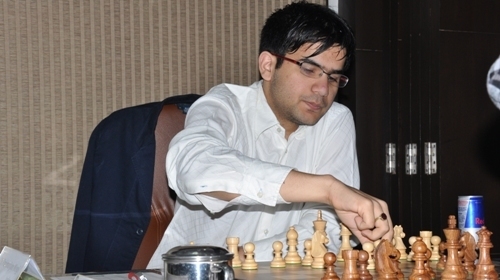 Indian Grandmaster Parimarjan Negi emerged convincing winner of the 2013 Politiken Cup following his last-round victory against earlier co-leader Sabino Brunello of Italy. Negi completed the event with 9,0 points from ten games, leaving the chasing pack of seven players a full point behind. This is his second trophy at the Politiken Cup following the success in 2009. Politiken Cup was held from 27th July to 4th August at the Konventum Lo-Skolen in Helsingør, Denmark. 309 players from 26 countries took participation. Tournament director was IA Lars-Henrik Bech Hansen. More information on the official website.